Venezuela’s central bank devalued the bolivar on Jan. 28 by 50 percent, eclipsing the parallel black market rate. 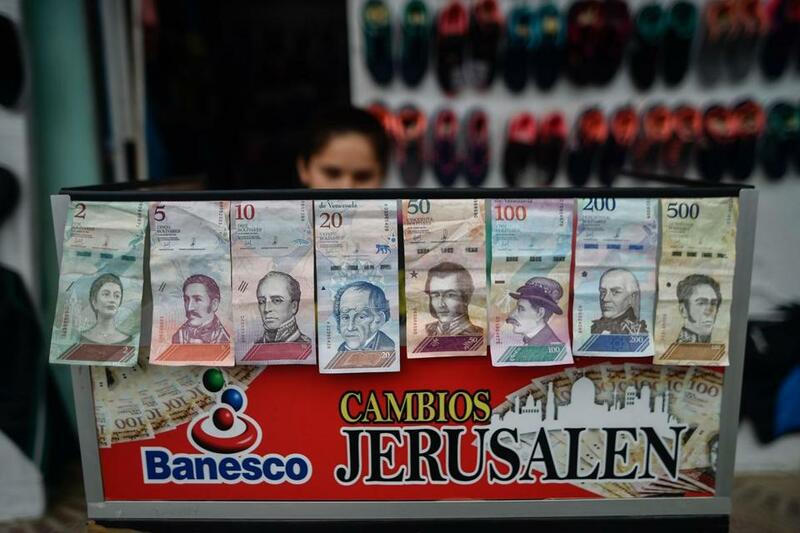 CARACAS — When Jose Humberto Vivas needs to trade dollars for Venezuelan bolivars, he usually flouts the nation’s rigid exchange controls by turning to illegal currency traders. ‘‘I haven’t been here in years,’’ Vivas said as he stood in line outside Italcambio, a normally lifeless exchange house in downtown Caracas protected by tinted windows and an armed security guard who inspects customers’ IDs. ‘‘There’s a long wait here and it takes days to get the money transferred to your account, but it might be worth it,’’ said Vivas, who makes a living from selling dairy products. Analysts called it a desperate gambit to raise hard cash in a country now beset by severe US oil sanctions that could cost the government up to $11 billion in revenue over the next 12 months. Without one of its most important sources of income, Venezuela will be hard-pressed to purchase food and other imports, potentially worsening shortages and deepening its economic collapse. ‘‘They are going for the diaspora dollars,’’ Dallen said of Maduro’s administration. Currently, it takes four days — an eternity in today’s Venezuela — for the bolivars purchased at state-regulated exchange houses to be deposited into a person’s account. Cash exchanges have been impossible for months because of shortages of bolivar bills. ‘‘Reliability, speed and convenience carry a lot of weight in currency exchanges,’’ Oliveros said. Last week, dozens of people trying to sell small amounts of dollars and euros at the official rate were turned away from exchange houses after trading was suspended because of a glitch with the central bank’s currency platform. ‘‘It’s so frustrating,’’ said Adolfo Estanford, a lawyer who had hoped to get $20 worth of bolivars. He said he needed the money for food and transport.